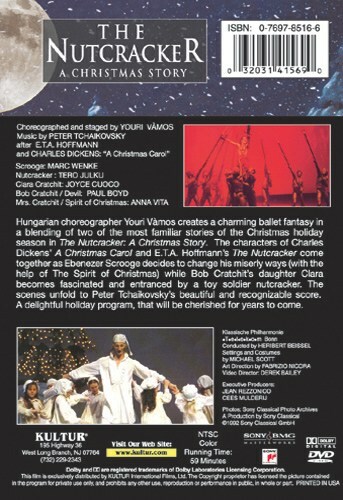 Hungarian choreographer Youri Vamos creates a charming ballet fantasy in a blending of two of the most familiar stories of the Christmas holiday season in The Nutcracker: A Christmas Story. The characters of Charles Dickens' A Christmas Carol and E.T.A. 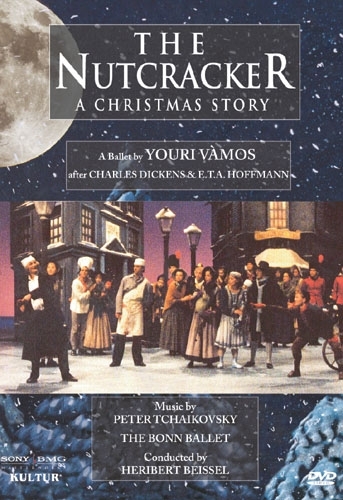 Hoffmann's The Nutcracker come together as Ebenezer Scrooge decides to change his miserly ways (with the help of The Spirit of Christmas) while Bob Cratchit's daughter Clara becomes fascinated and entranced by a toy soldier nutcracker. The scenes unfold to Peter Tchaikovsky's beautiful and recognizable score. A delightful holiday program that will be cherished for years to come. and Charles Dickens: "A Christmas Carol"